Trust me, this 15.5 MB PDF instruction document for the Nikon D300 is a fantastic read, all 448 pages of it — be sure to download it! Both English Language (printable and non-printable) and Spanish (non-printable) versions of the D300 owner operation guide can be downloaded. 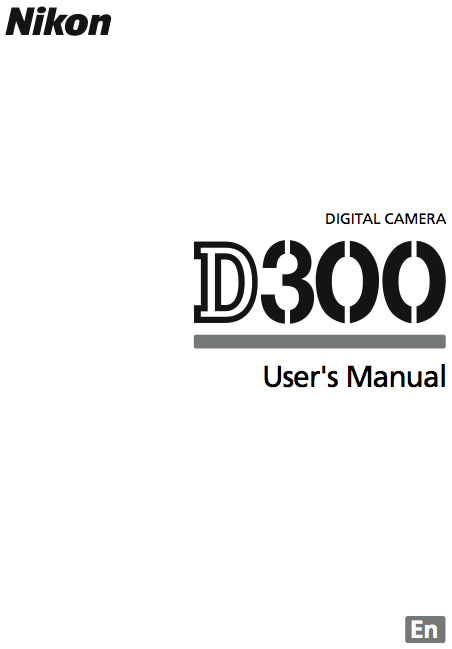 The user guide, which is titled Nikon D300 Guide to Digital Photography — Camera Owner’s Manual, is available in printable (not available at the time of writing) and non-printable version (the 15.5 MB Acrobat document that I referred to). 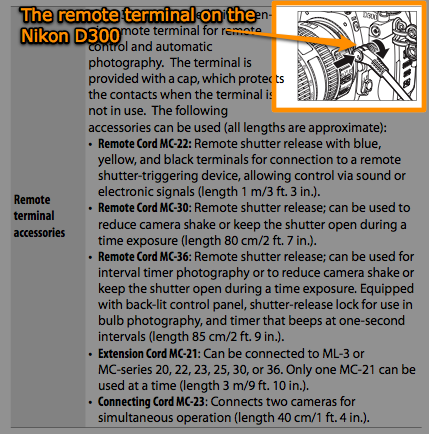 The guide discusses the features of the D300 and how to use the camera, for instance, on page 369, there’s a list of accessories that can be plugged into the remote terminal. The Phottix Cleon N8, a hybrid RF (radio frequency) wireless shutter release (trigger), is an example of such an accessory.